Waseem Ahmed Khan comes from the great lineage of famous Agra Gharana. Waseem took his initial taalim from his maternal grandfather Late Ustad Ata Hussain Khan Saheb at the tender age of six years. Thereafter, he continued his taalim from his father Late Ustad Naseem Ahmed Khan Saheb. Waseem has been an ’A’ Grade Scholar in ITC-Sangeet Research Academy under the guidance of Late Ustad Shafi Ahmed Khan Saheb, who is Waseem’s grandfather in relation. An exquisite diamond of her art style, intense and passionate, elegant yet vibrant, effortlessly spanning centuries of Kathak heritage as she does her dance space, Padmashri Guru Shovana Narayan is sheer poetry and sublime joy transcending boundaries. She has also become a living legend who has blazed a trail in Kathak imbuing it with dignity and grace. Pt. 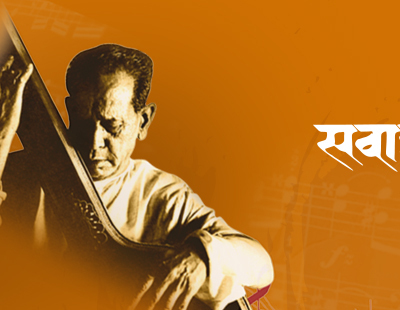 Ulhas Bapat is a disciple of Sarod Maestro Smt. Zarin Sharma Pt. K.G.Ginde and Pt.Wamanrao Sadolikar. Pt. Bapat is the only Santoor player who has adopted the technique of tuning the instrument in ‘Chromatic’ structure, and has pioneered a modification, which enables him to reproduce a ‘Meend’ on Santoor. A child prodigy, Begum Parveen Sultana received her early training from her father, Ikramul Majid, then from Acharya Chinmoy Lahiri in Calcutta. She then came under the guidance of her Guru and Mentor, Ustad Mohammed Dilshad Khan. With him, she has acquired a new dimension to her singing, giving it the required mastery of ragas and voice culture. Many awards and honours came her way like the youngest artist to receive the 'Padmashri'.